Egypt's Sports Minster Ashraf Sobhy says he opposes the idea of cancelling the current season of the Egyptian Premier League over the country's hosting of the African Cup of Nations next summer. Recent reports suggest that the domestic league cannot be completed due to Egypt’s commitments towards the prestigious African tournament, but the minister firmly stands against the cancelation. “I completely oppose the idea of cancelling the league. This would be against professionalism. 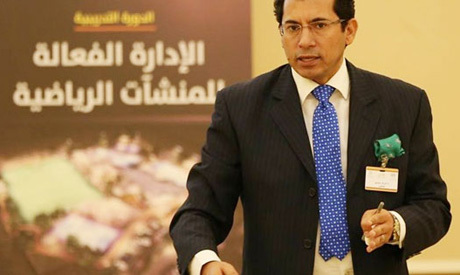 The competition must be completed,” Sobhy told ON TV channel on Wednesday. “We have played many African Cup tournaments without cancelling the league. “The Egyptian Football Association is responsible for choosing the stadiums of the African Cup according to CAF’s rules regarding climate and capacity, so it would be difficult to play some matches in Upper Egypt, he added. "Congratulations to all Egyptians. The sweeping win of the hosting rights of this year's 2019 African Cup reflects Egypt's standing position in Africa," Sobhy said last week. "We have all the facilities to organise a successful tournament,” he added at the time. Cairo giant Zamalek is currently leading the league table with 41 points from 16 matches, while champions Ahly lie fourth with 27 points from 14 matches. Other teams played 19 matches of the competition so far.